Every Valentines season, AI comes out with some cute critter stamp set I have to get and stamp up – this year is no exception! It’s bears this time…and I also decided this time to get out a type of watercolor that I haven’t used in ages – Dr PhMartin’s Hydrus Watercolor! Watch the video below or click HERE to see it in HD on YouTube. 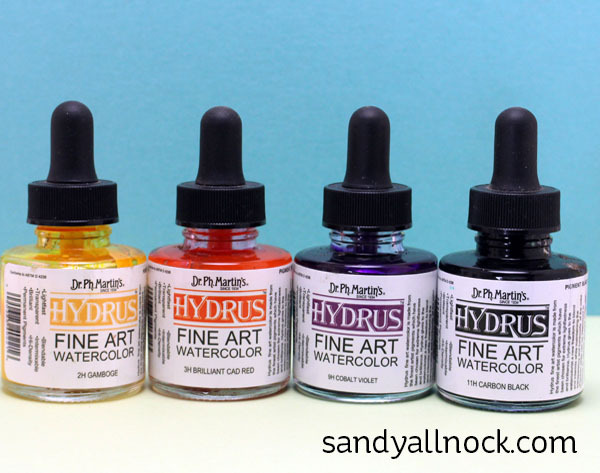 The Hydrus watercolors come in sets of 12 – Set 1, Set 2, and Set 3, each with a pretty good range of colors. There’s a chart of colors HERE. I think this is my favorite lil bear in the set – he’s looking at his little string of hearts with such bewilderment! Stamping it in the lower left side of the card, it leaves the space open for addressing the envelope, putting a return address, and a stamp. Same with the little teacup….lots of space so the writing on the envelope can be seen. These lil bears – oh my. Teamwork, eh? I used a piece of vellum to test my inks to see that the Lawn Fawn ink wouldn’t run. I didn’t run it through water, but the ink didn’t move while painting or smoodge with my finger. If you do find your ink moves, you might put a little scotch tape over it. 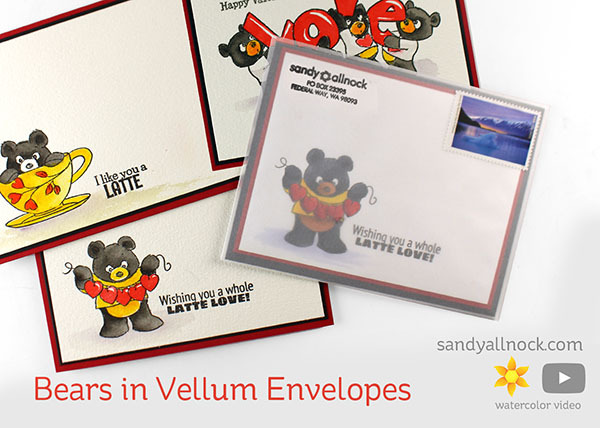 They are great, love the idea of the vellum envelopes. Thanks for an other gorgeous tutorial! Great cards and envelopes. I loved the skunk cards, super cute. The ideas for the envelopes are fabulous. Your cards are so cute. Love the vellum envelopes. I never saw the skunk video, will have to check it out cause it looks hilarious. I put my comment on YouTube as it was easier for me. This cards are awesome….your so good at this type of painting… I just had to come back here and leave it too..
Love all the AI critters – and I remember those skunks from 2 yrs ago. Still funny! Didn’t know Ellen Hutson carried vellum envelopes, tho – I’ll have to go take a look. That’s a fun idea, to have the image showing thru on the front. Oh my goodness, how cute are those! 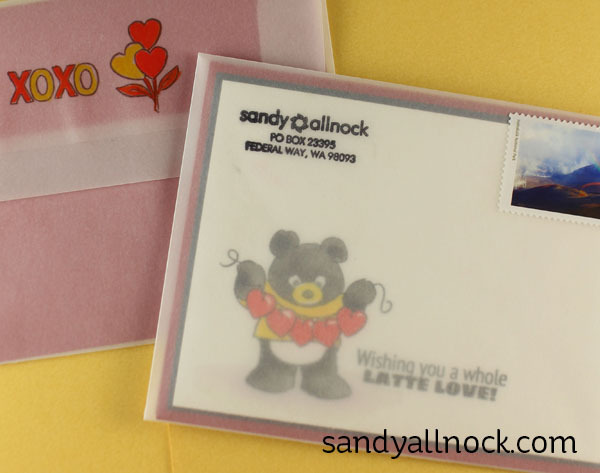 I just love the idea of using a vellum envelope with the cards. It’s like having mail art without having to do anything extra. 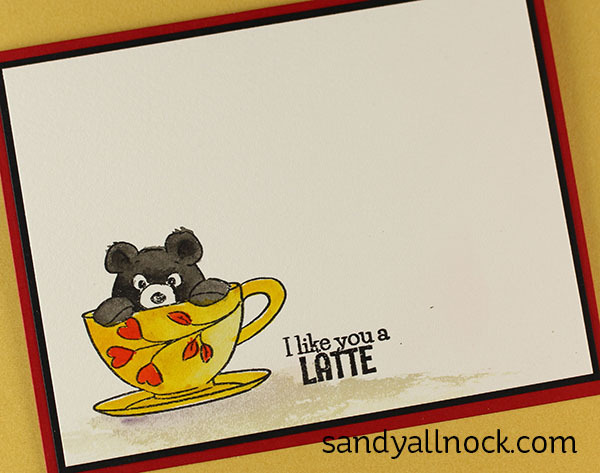 Thanks for the inspiration, Sandy! 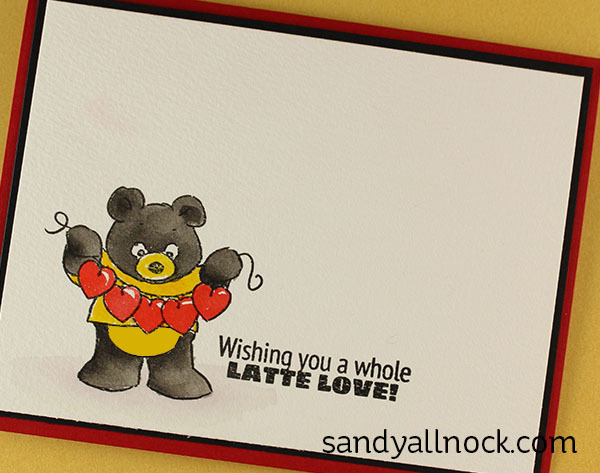 Awesome bears, love that the postman can enjoy the cards too!